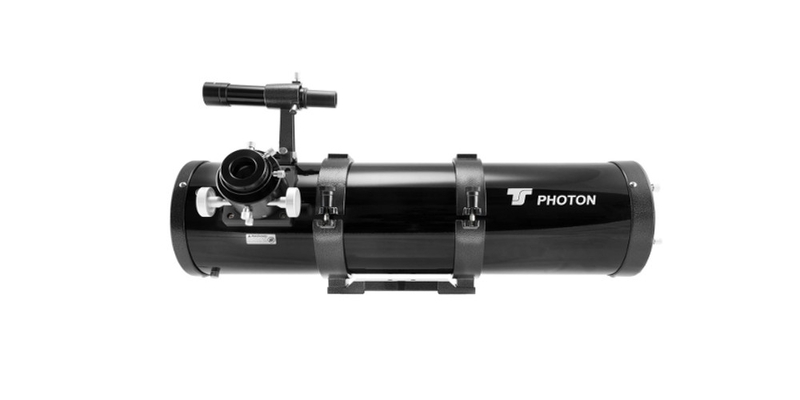 The TS-PHOTON 6 " is a Newton 150/750 f5 with high reflectivity, an ideal instrument for people searching for a large diameter but compact, easy to use and low cost telescope. This is a very versatile telescope and easy to install even on mounts with low load capacity, like an EQ3, perfect for those who start making the first observations or images. The Newton TS-Photon is the ideal instrument for those looking for a bright optic, in fact, this 150mm f / 5 optic it's perfect for both visual and photographic use. Equipped with a 50.8mm Crayford focuser and 31.8mm adapter. An ideal tool for those starting with the first observations but also for the more experienced user looking for a compact, light and luminous instrument.